3D Systems, one of the largest companies in the world of 3D printing announced the launch of DMP Flex 350 and DMP Factory 350 – the company’s newest additions to its proven DMP metal 3D printing platform. The new systems are designed for volume production of critical components for industrial applications in varieties of industries such as aerospace, healthcare, and transportation. In addition to the two new products, the company also launched a new aluminum alloy material. 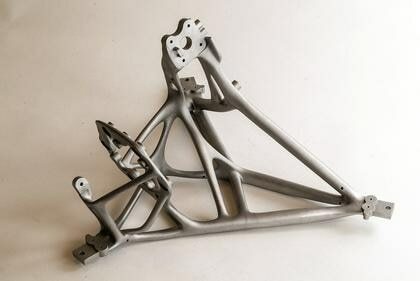 Known as LaserForm® AISiMg0.6(A), a new aluminum alloy material is designed to produce strong, lightweight, parts without the need for casting. Developed in partnership with GF Machining Solutions the DMP Flex 350 is the successor to 3D Systems’ ProX® DMP 320 metal 3D printer. The new 3D printer enables more efficient production of very dense, pure metal parts and includes improved gas flow technology for improved uniform part quality across the entire build area. The new 3D printer provides print productivity of more than 15% over its predecessor. This largely leads to lower total cost of operations and allows faster time to market. 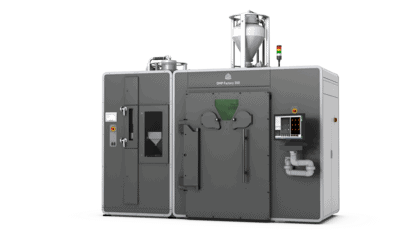 The DMP Factory 350 comes with the same features and advantages of DMP Flex 350 but combines them with Integrated Powder Management for consistent part quality. The DMP Factory 350 includes real-time process monitoring via 3D Systems’ DMP Monitoring and allows customers to analyze and optimize parameters for higher quality final parts. 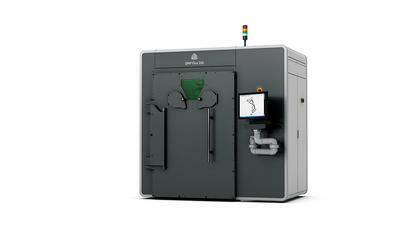 Both the DMP Flex 350 and DMP Factory 350 are integrated with 3D Systems’ 3DXpert™ 14, – the company’s all-in-one integrated software solution for the entire metal additive manufacturing workflow. The company has set a targeted availability for both the systems to late Q4 2018. The LaserForm AI Si7Mg0.6 (A) is a new aluminum alloy material designed to produce strong, lightweight, parts without the need for casting. Compatible with both the DMP Flex 350 and DMP Factory 350, the new material is an ideal choice to build parts for improved fuel efficiency for transportation and other weight-sensitive applications. In addition, the material also has some additional features. For example, the new material’s corrosion resistance, high-thermal conductivity and electrical ductility, and good ‘weldability,’ make it ideal for applications in housings, mold inserts, impellers and heat exchangers.